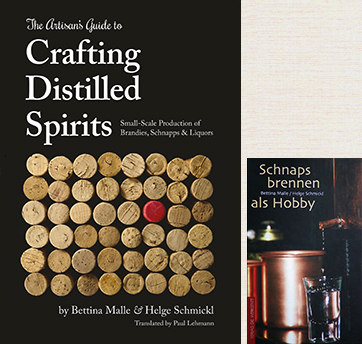 The original Schmickl seminars ONLINE: distillation of alcohol & spirits, distilling essential oils & hydrosols, and how to make fruit & spice vinegars at home. Learn in our seminars the preparation of a perfect mash, the construction of a still, and the distillation of alcohol & top-quality spirits. 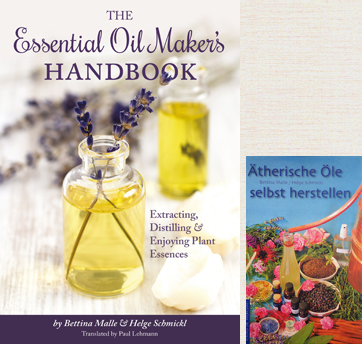 Extracting, distilling & enjoying plant essences: distilling essential oils & hydrosols from the plants of your herb garden. 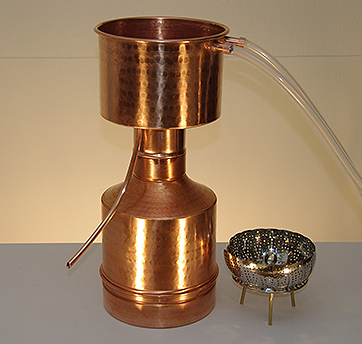 Learn in our seminars the pretreatment of the plant material, the process of a steam distillation, and how to build simple stills by yourself. Make vinegar by fermentation with your own fruit and herbs at home. Learn in our seminars simple methods, but also sophisticated processes for top-quality vinegars. In our seminars you learn the distillation of alcohol & spirits, distilling essential oils & hydrosols, and how to make vinegar at home. Welcome to the homepage of Dr. Schmickl and Dr. Malle! 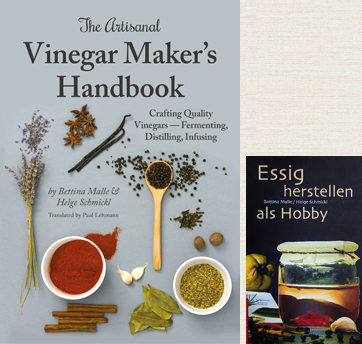 In addition to our books on crafting distilled spirits & brandies, producing essential oils & hydrosols by yourself, and fermenting vinegar at home we host practical workshops on these topics - distilling spirits, distilling essential oils, and fermenting vinegar - since many years. 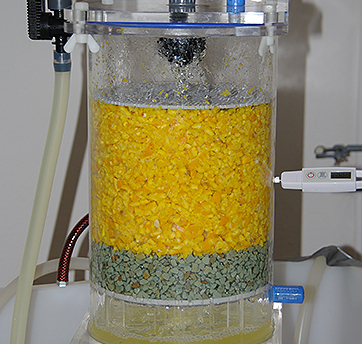 By means of the stills, vinegar generator, and analysis devices we offer, putting knowledge into practice can be done with ease. 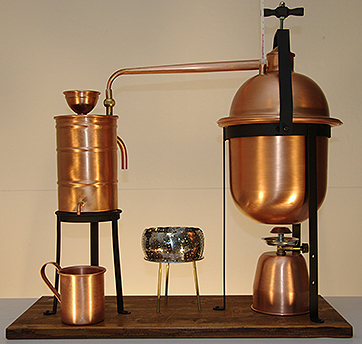 On this site you find also online seminars on distilling spirits, producing essential oils, and fermenting vinegar. Additionally there are shorter films on special topics. If you also have videos about interesting or new subjects, just contact us.